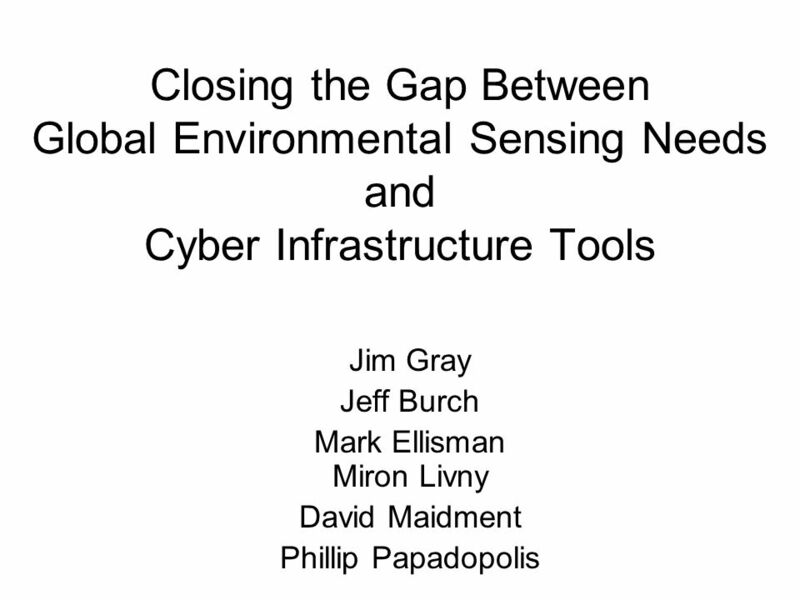 Closing the Gap Between Global Environmental Sensing Needs and Cyber Infrastructure Tools Jim Gray Jeff Burch Mark Ellisman Miron Livny David Maidment. 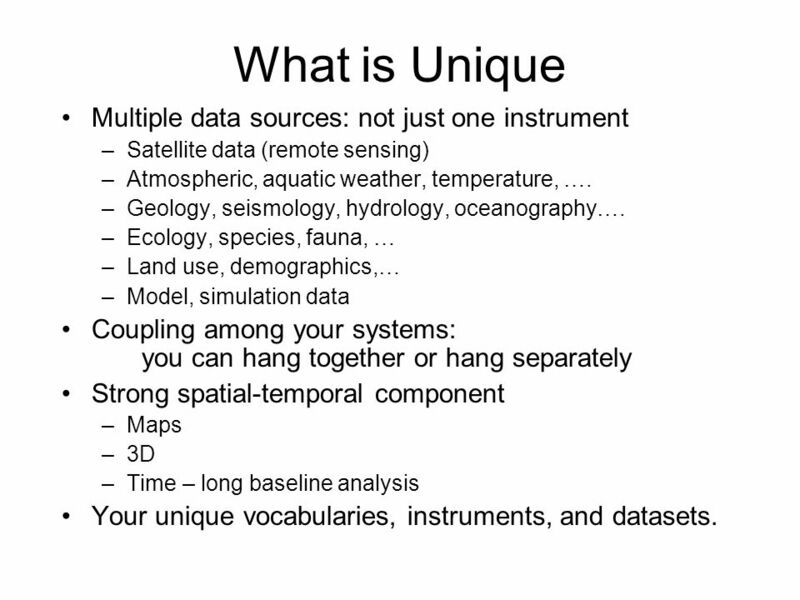 3 What is Unique Multiple data sources: not just one instrument –Satellite data (remote sensing) –Atmospheric, aquatic weather, temperature, …. –Geology, seismology, hydrology, oceanography…. 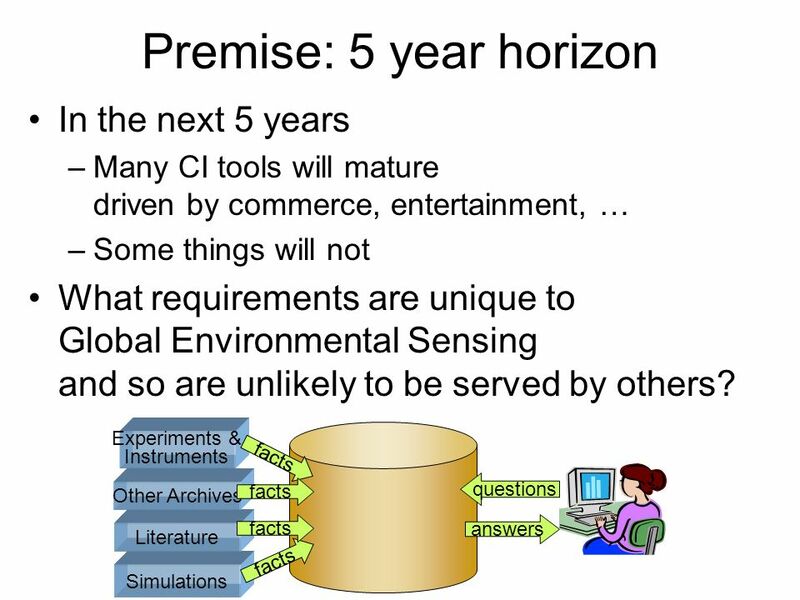 –Ecology, species, fauna, … –Land use, demographics,… –Model, simulation data Coupling among your systems: you can hang together or hang separately Strong spatial-temporal component –Maps –3D –Time – long baseline analysis Your unique vocabularies, instruments, and datasets. 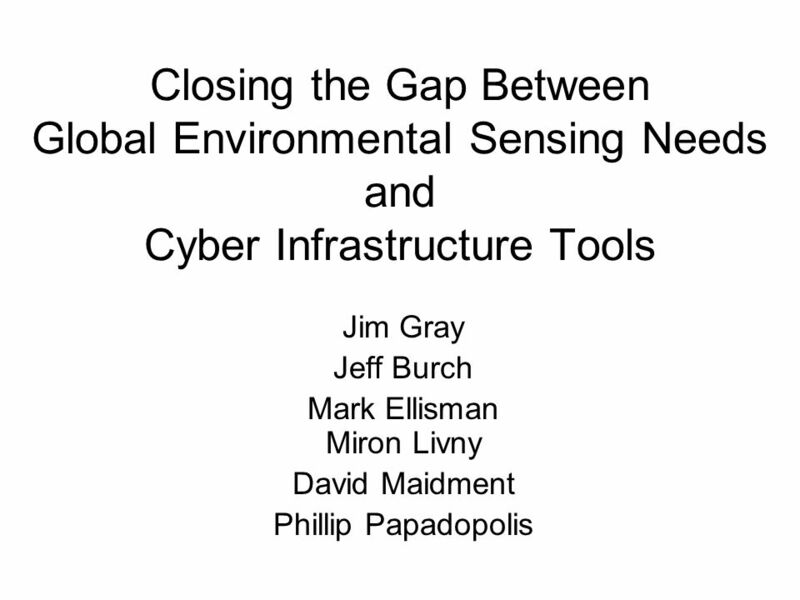 Download ppt "Closing the Gap Between Global Environmental Sensing Needs and Cyber Infrastructure Tools Jim Gray Jeff Burch Mark Ellisman Miron Livny David Maidment." Environmental Information Data Centre: enabling the discovery of CEH-held data John Watkins Deputy Director EIDC. 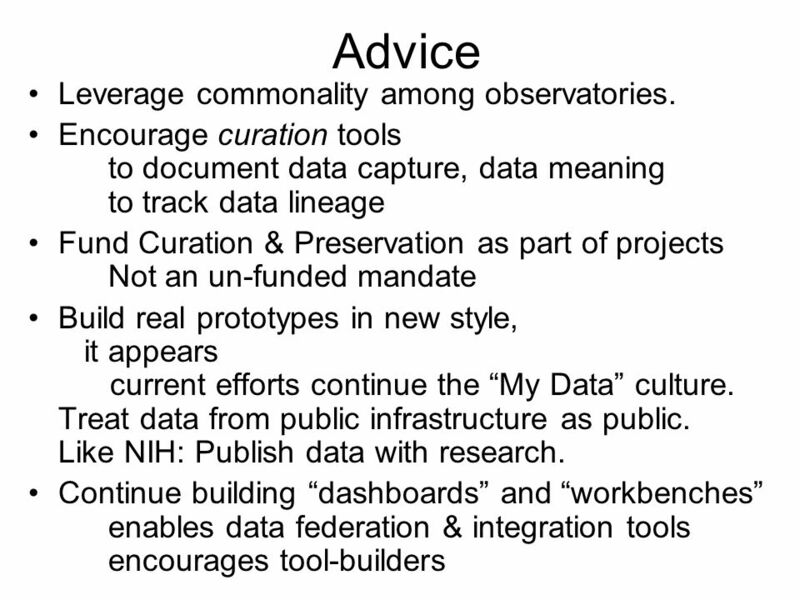 Earth System Curator Spanning the Gap Between Models and Datasets. 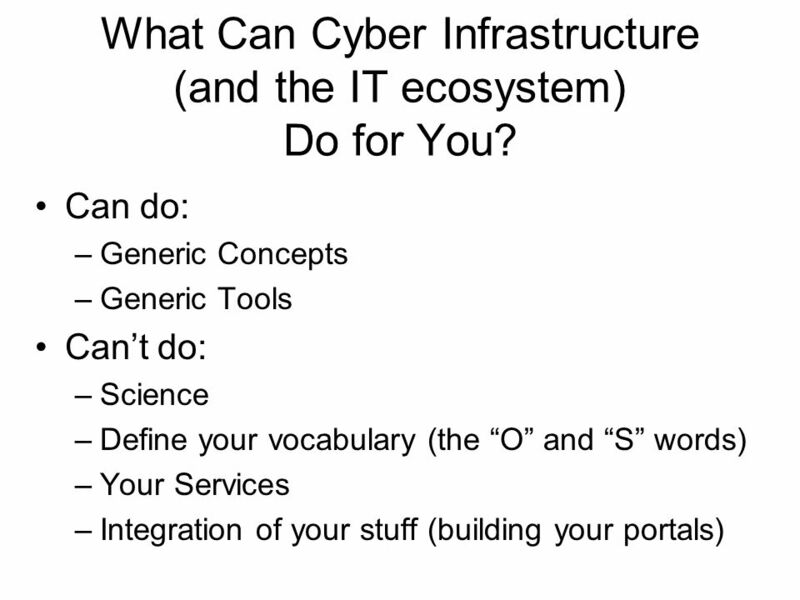 EInfrastructures (Internet and Grids) US Resource Centers Perspective: implementation and execution challenges Alan Blatecky Executive Director SDSC. 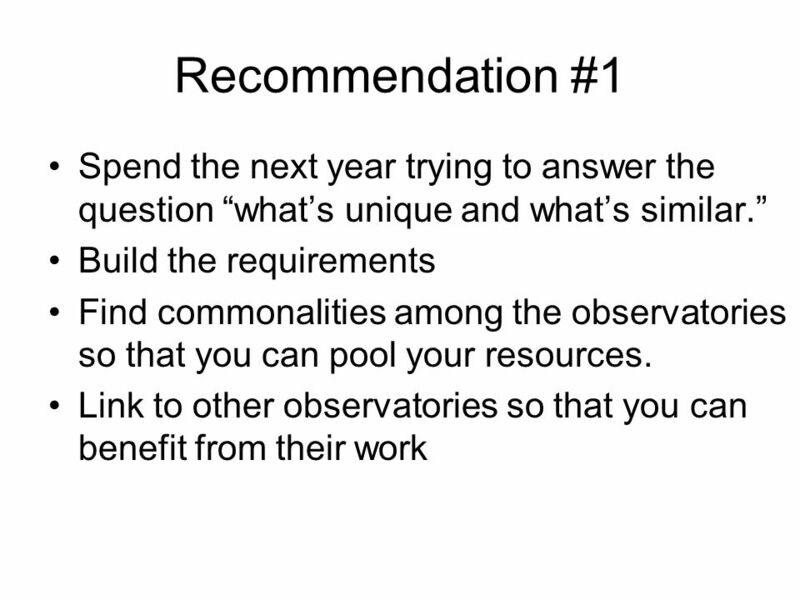 From “Just Mapping” to GIS Michael Sutherland, Ph.D. University of Ottawa International Federation of Surveyors. 1 CYBERINFRASTRUCTURE FOR THE GEOSCIENCES Global Earth Observation Grid Workshop, Bangkok, Thailand, March Integration Platform. Computing in Atmospheric Sciences Workshop: 2003 Challenges of Cyberinfrastructure Alan Blatecky Executive Director San Diego Supercomputer Center. Scientific Data Infrastructure in CAS Dr. Jianhui Scientific Data Center Computer Network Information Center Chinese Academy of Sciences. 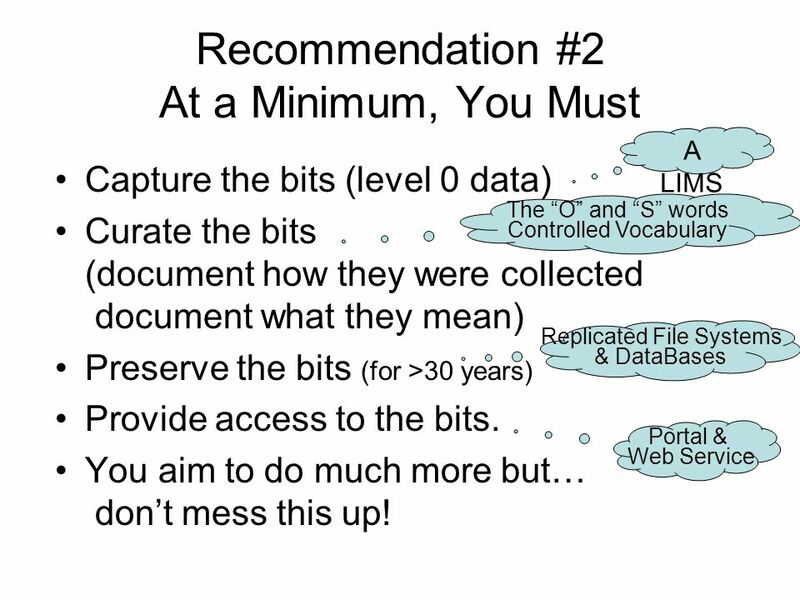 Data Interoperability and Access Activities Prepared for the Data Archiving and Access Requirements Working Group (DAARWG) Ken McDonald, TPIO/GEO-IDE Jeff. U.S. Department of the Interior U.S. Geological Survey Data Integration Progress and Guiding Principles Disciplines, generalization, and open-access. David. David Tarrant University of Southampton Applying Open Storage to Institutional Repositories. WP3 WP6 USE CASE DATA MODEL FUSION USING PHENOLOGICAL DATA TO INFORM PRODUCTIVITY MODEL Andy Fox, David Moore, Jesus Marco de Lucas, Jeff Taylor, and many.